Photo by Juergen Teller. Courtesy of Vivienne Westwood Ltd.
Good morning fashion students–we hope you all had a wonderful weekend!! The weather in San Francisco has really gotten cold, so for today’s edition of Monday Morning Photo we’ve selected an image to bring a little warmth into our lives. 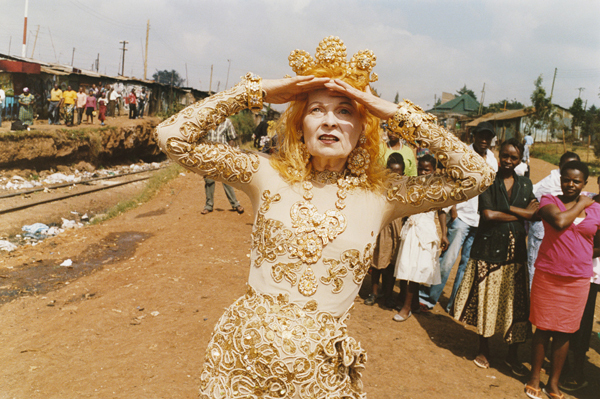 The photo is from Vivienne Westwood’s Fall/Winter 2011-2012 ad campaign, and features the designer donning one of her own fabulous creations, standing in the middle of a village in Kenya. 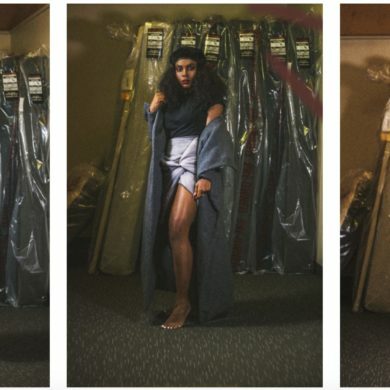 This Juergen Teller-lensed campaign was created in conjunction with the Ethical Fashion Africa Project, working to provide jobs to local artisans and women in the area. The golden tones featured throughout remind us of the summer months, and the charitable mission it promotes warms us from the inside out–the perfect dose of positivity to start our week off right.